DeNami Theme Challenge: Animals | Work in Progress. Time for another DeNami Challenge! 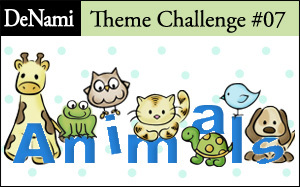 This time, you challenge, should you choose to accept it, is to create a project with an Animal Theme!!!! See what I mean?! ADORABLE! So I figured this would be the perfect opportunity to try a few of my own :) I made a coordinating card to put them on as well. I colored three of the Playful Puppies with Copics and fussy cut them all. I stamped the doghouse on a 1" round circle punched from magenta, sky blue and lime card stock. Then I adhered the puppies and placed a 1" epoxy sticker on top to finish 'er off. Too darn cute! Thanks Linda for the inspiration!!! Thanks so much for stopping by! Go channel you inner beast and get creating! Posted in animals, DeNami DT, magnets. 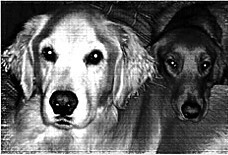 bottle caps, playful puppies, Theme challenge . Bookmark the permalink. RSS feed for this post.